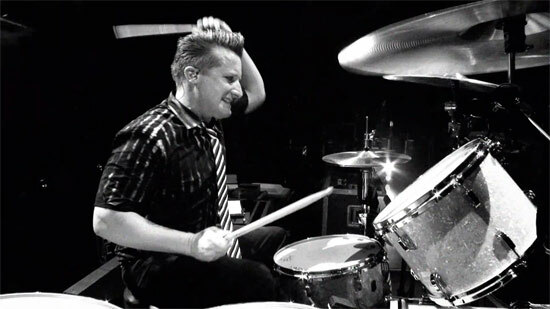 I remember once watching Green Day perform at some festival on television, probably around 1995, and my dad remarked, “That guy is terrible” in reference to Tre Cool, the drummer in the band. I mean, I could tell that Billie Joe Armstrong was terrible at his instrument but didn’t notice how “off” Tre Cool was — and still is in every single performance I’ve ever seen since by Green Day. My dad was spot-on. The guy can’t play. Fast forward a few years, and it’s the same type of deal where Blink 182 (essentially a Green Day ripoff) is playing live at some awards show or something on television and my dad utters, “Hmm, maybe he’s not so bad…” assuming it’s the same guy. 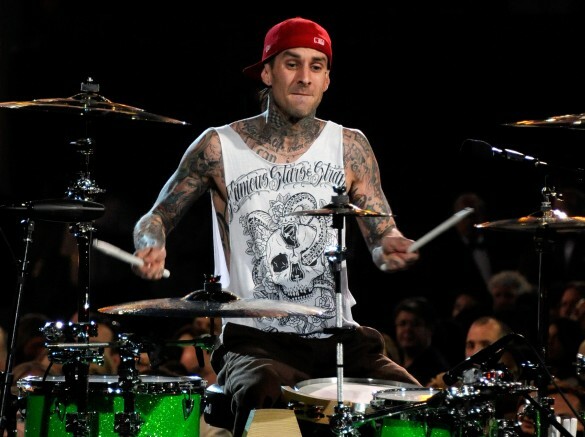 Through all of the noise, all my dad would listen for is the snare — and apparently Travis Barker had “it”. 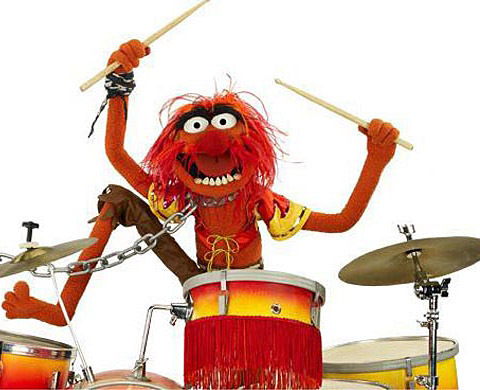 I’m not totally certain what ‘it’ was — my guess is that his rudiments are spot on unlike Tre Cool who, while fast, is actually about as (un) talented as Animal is playing with Electric Mayhem. Either way, it was quite a sight to see a guy in his late fifties drumming away on the steering wheel to a Blink-182’s “Rock Show“. My dad played snare for Preston Scout House and later the Flying Dutchman, following his older brothers’ footsteps, in the late 1950’s and early 1960’s. Still, keep in mind that this was way before marching bands, aside from DCI, turned into what they are now — social outcasts that often turn out to be the folks that own cats by the dozen later in life. These kids were cool. From what I can gather, he was pretty good at it too as I’ve been told by a number of people who wouldn’t just say it cause I was his son or because he’d died — I’m pretty certain he *was* really good at it. When it came time for me to play an instrument, my dad laid down a few rules. Absolutely no reed instruments – clarinet, oboe, or that god awful instrument called a saxophone. I ended up on a trumpet in third grade, getting a jump on most of my classmates who took up instruments in 5th grade and beyond. 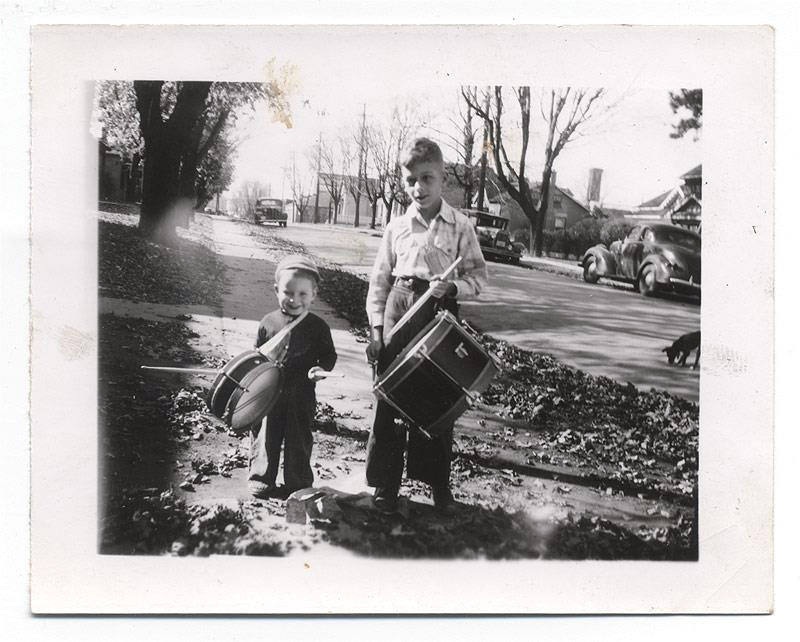 I believe my dad steered me away from drums mostly because he knew that, even if I’d managed to get really, really, really good at it, for the most part, the “talent” would always go completely unrecognized. To be just awesome at something but have most people see it as, eh, yeah, that’s pretty good. And now, when listening to live music, I totally get it. Most of these guys are hacks just smashing away behind a wall of drums semi-randomly most of the time — and most people think they’re gifted musicians. Kind of explains why nearly every song you hear on the radio was actually performed by studio musicians and not the “talent” on the cover of the CD or in the music video. Anyway, while I was the best trumpet player in our school through 7th grade, it was never really my passion…and other kids were quickly catching up. 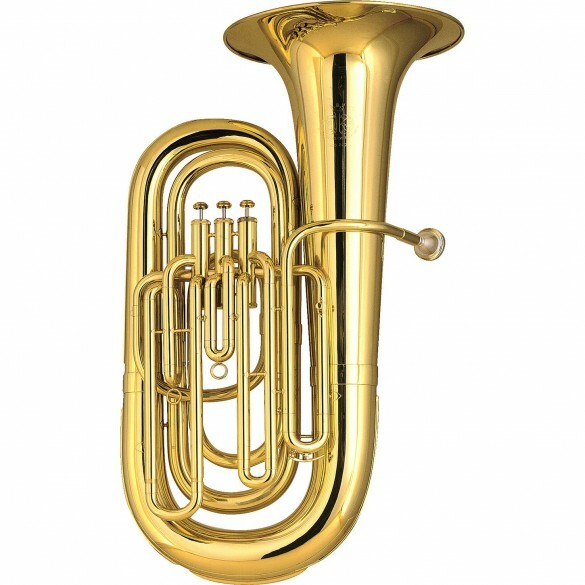 I soon switched over to tuba. Yeah, the tuba. No joke, our band teacher had a poster in his office of all of the brass instruments. I went in for my trumpet lesson one day and said, “I want to play that one” while pointing to the tuba. I’d picked it cause it was the biggest and once the school system actually secured one for me to play it was so big, in fact, that I had to sit on a couple telephone books to reach the mouthpiece. Played tuba through high school — getting a trip to Germany in the process — and then left it in my past the day I graduated. While I was never very good, no one ever forgets the tuba player. I actually was pretty good at the tuba. I mean, I didn’t have a lot of competition as there were never more than two tuba players in our band at any given time so it wasn’t much of a challenge to be the best or anything, but, yeah, I was a pretty good tuba player. Further, I sometimes think about how people “peak” at a certain point in their lives before starting a steady decline. Perhaps I haven’t peaked yet? Anyway, I’m pretty sure my dad peaked while he was still marching and playing snare and it was a pretty important time for him. It’s the only reason I can think of that he had about a dozen pairs of drum sticks from the 1950’s always somewhat accessible (though almost never used) in our basement for all those years — the ONLY thing I can think of in our house from his youth. Kinda like my track trophy that I received when I ran a 4:18 mile in 1993 — it’s not on display at my house or anything but I know EXACTLY where it is and don’t plan on ever misplacing it. The sticks were his trophy. 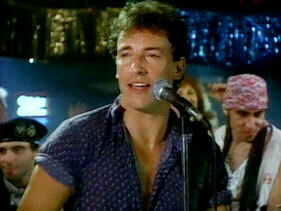 After he died, I remember seeing a pair of them in the garage of my parents’ new gated community “retirement” house. I’m not certain why. Maybe cause it was in the garage, literally feet away from where my dad had died just hours earlier. But after the surreal funeral, just as I was getting ready to go to the airport to head back home, my dad’s older brother came over with a pair of fat Ludwig sticks in his hand to take home. I’m not sure if they were the same pair that I’d seen in the garage a few days earlier, I assume they were. He didn’t say much of anything — he didn’t have to. Anyway, I tucked them into my backpack and hoped like crazy the overly aggressive TSA agents at the airport wouldn’t confiscate them as weapons of mass destruction or something. For real, I’d have started walking the 1200 miles home if that had happened. 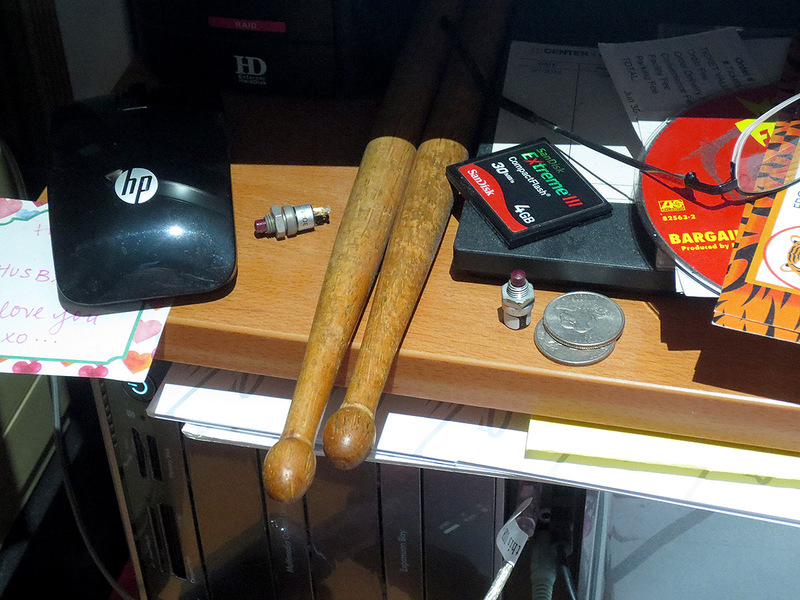 So, sitting right here in front of my keyboard are a couple of 60 year old Ludwig drum sticks. They’re not on display or anything — actually mostly buried below mail and empty Capri Sun pouches most of the time — but I know exactly where they are.